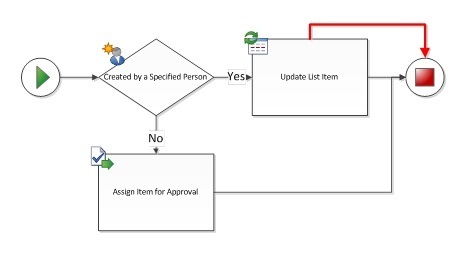 This topic includes a description, example, and suggested action for each of the workflow validation issues that you can receive in Visio Premium 2010. 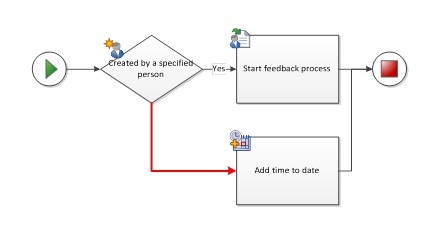 If you receive notice of an issue during validation, find the issue name in the list below, use the example to help identify where the problem is, and then follow the suggested action to resolve it. 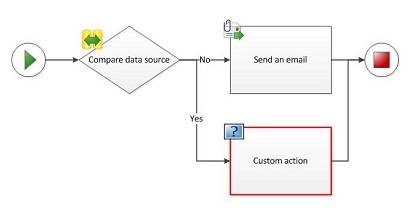 A Custom action cannot be added to a workflow diagram. 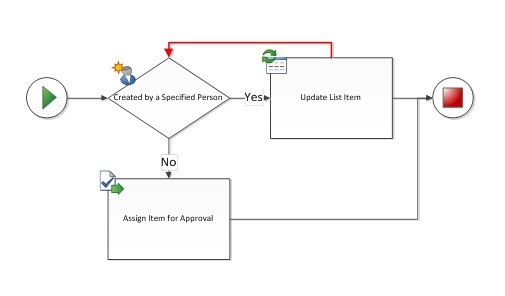 A Custom condition cannot be added to a workflow diagram. 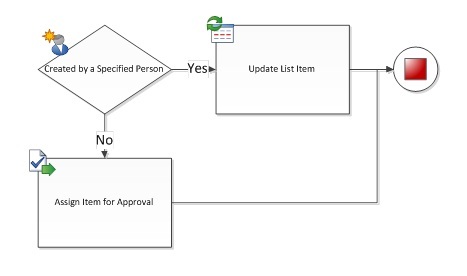 A Compound condition cannot be manually added to a workflow diagram. 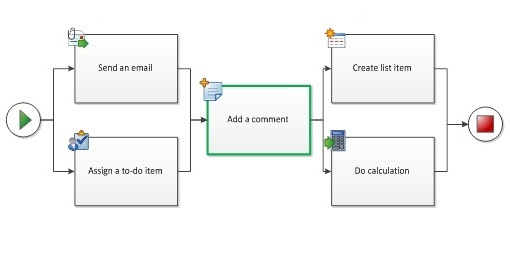 The connector is not a SharePoint Workflow connector. If you want to add an action to your workflow and a master shape does not exist for it in the stencil, do not create your own shape or import one from a different stencil. Instead, use an existing shape and then use the Add a Comment feature of the shape to specify the intended behavior. If you want to add a condition to your workflow and a master shape does not exist for it in the stencil, do not create your own shape or import one from a different stencil. Instead, use an existing shape and then use the Add a Comment feature of the shape to specify the intended behavior. Remove the redundant connector by selecting and deleting it. 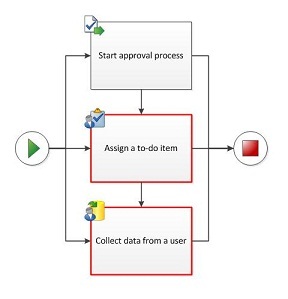 Neither Visio Premium 2010 nor SharePoint Designer 2010 supports workflows with loops. Check your workflow for loops and delete the looping connections. 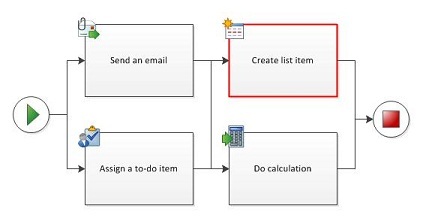 If you want to create a SharePoint workflow that includes a set of looping steps, you must create the workflow in Visual Studio. Activities can be either parallel or sequential, but not both simultaneously. For parallel activities, remove the sequential connectors. For sequential activities, remove the parallel connectors. Sometimes, simultaneously parallel and sequential activities can be difficult to identify. The following examples show other common instances of parallel and sequential arrangement and offer alternative arrangements. Right-click on the connector to assign label “Yes” or “No”. Ensure condition shape has at least one outgoing connector attached to another workflow shape. 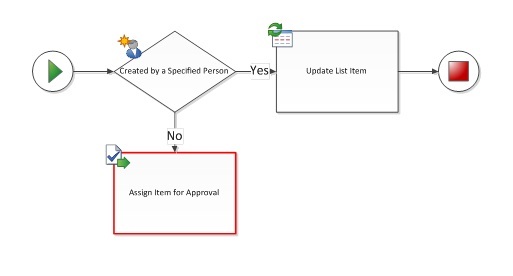 Avoid reusing connectors from other diagrams as they are not necessarily designed to be used with SharePoint Workflows. Delete the selected connector and use the connector tool or AutoConnect to replace with a new connector. Remove dead-end connectors or attach them to a second shape. All paths must originate from the same Start shape. Remove extra Start shapes and arrange the connectors so that the path starts in one place. 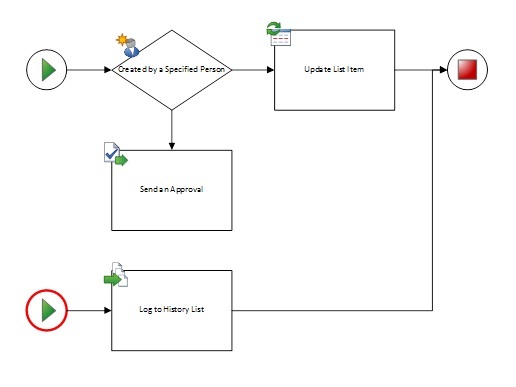 Only workflow shapes from the SharePoint Workflow stencils can be used in the Microsoft SharePoint Workflow template. 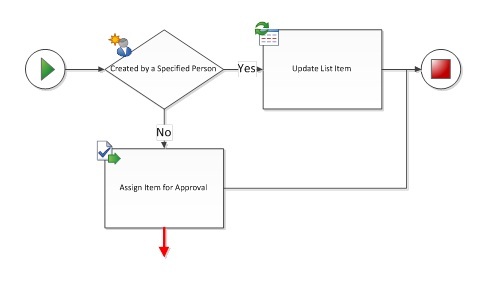 Other flowchart shapes are not recognized and prevent the workflow from being exported to SharePoint Designer. Remove the incoming connector to the Start shape. Remove the outgoing connector from the Terminate shape. Add a Start shape to the beginning of the workflow and connect it to the first activity. If the workflow does not have a Terminate shape, add one and connect it to the end of the workflow. 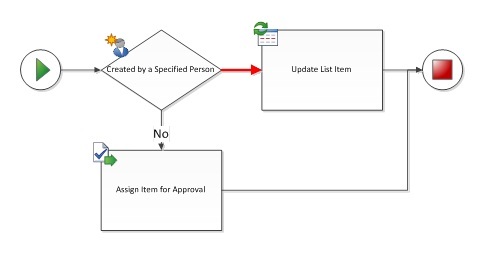 If a workflow shape is missing a connection to another workflow shape (see example), you can remove it or connect it to another workflow shape. 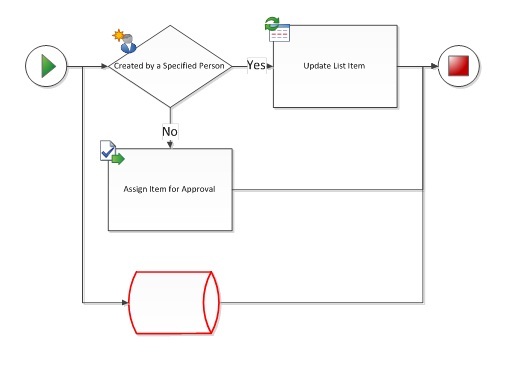 If the workflow shape is necessary, add connectors to attach it to the workflow path. Otherwise, delete the shape. 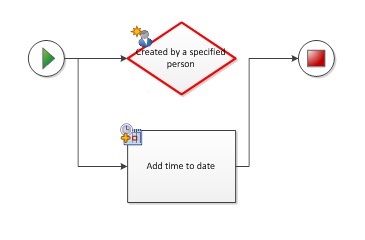 Visio Premium 2010 can recognize a maximum of 10 levels of nesting workflow activities. Rearrange the workflow to reduce complexity by eliminating activities or dividing the workflow path into more than one branch.